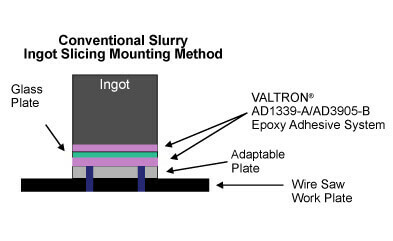 Building on our experience in the semiconductor industry, Valtech has developed the VALTRON® line of adhesives, ingot support beams and formulated detergents to accommodate the unique challenges of the solar wafering process. The rapidly changing technology of solar wafering requires continual development to meet these challenges. 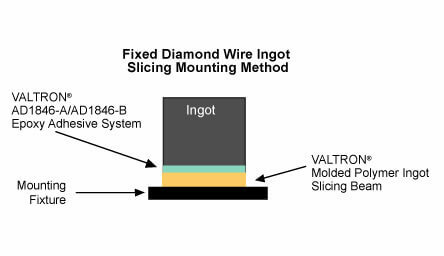 Our product development efforts have led to unique products including water resistant adhesive systems for wafering, simple heat release adhesives for monocrystalline ingot squaring, support beam technology compatible with fixed abrasive wire slicing, and multiple new detergent formulations to accommodate the in-line wafer cleaning processes. We continue to work closely with our customers to understand and meet their continually changing needs in this dynamic industry.